I just got an email from Vocalpoint about a Buy One, Get One FREE Coupon* for Del Monte Fruit Naturals. They asked me to share the details with my readers, so here's the info for you! 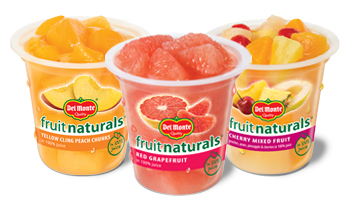 Del Monte® Fruit Naturals® cups are packed in 100% fruit juice instead of sugary syrup, so you will want to drink every last drop. Utilize Vocalpoint's downloadable buy-one-get-one-FREE coupon* offer so your friends can get in on the sweet deal. *Must be a Vocalpoint member. Limited quantities available. Each member is able to download only one coupon. This offer is only available in certain areas. Should you choose to share this, please let others know you received a BOGO coupon from Vocalpoint and be factual with the information you share. For more information, review the Vocalpoint Consumer Guidelines at www.vocalpoint.com/guidelines. Disclaimer: I was asked by Vocalpoint to share this info with my readers. I will receive coupons in exchange for my assistance. I'm a Verizon FiOS Team Member! As part of my return to blogging, I'm here to announce to you that I was selected to be part of the Verizon FiOS Test Drive Team! I'm super thrilled about being a part of this campaign, as the fiber lines had just begun being installed at the last residence I had, which is in another county. Not too long before this campaign launched, I had just relocated! Lucky for us, eh? 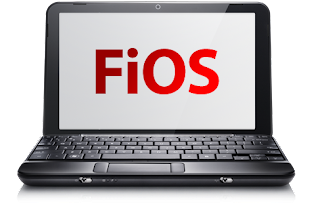 My children and I have had satellite service for the last 6-8 years, and I was also eager to see what the difference was between FiOS and satellite. There are all kinds of widgets that you can utilize on the menu: Sports, Social Networking, News and Info, Games, Shopping, and Music & Video. I set up my YouTube account on the widget, but so far, haven't set up any others. Another thing that I like about FiOS is the picture. Even though the TV I'm currently using is small, the picture is sharp and clear. I have many HD channels, and I prefer to watch my local news on the HD Channels. So far, Verizon FiOS is only available in certain parts of the country, so before you order, or would like to check out the features, please check the availability of Verizon FiOS.